Had 3 friends over for dinner. Am knackered. Will post the pix but recipes have to follow later. 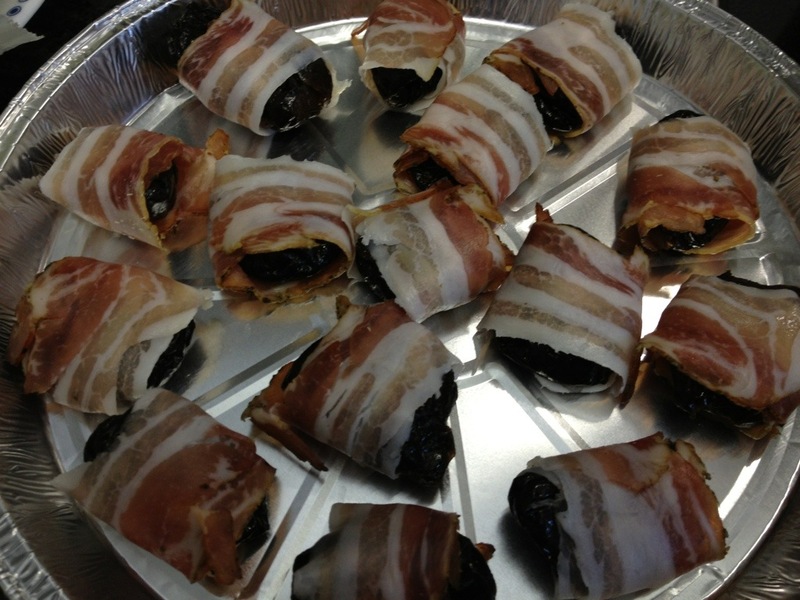 Amuse bouche: baked plum wrapped in speck. 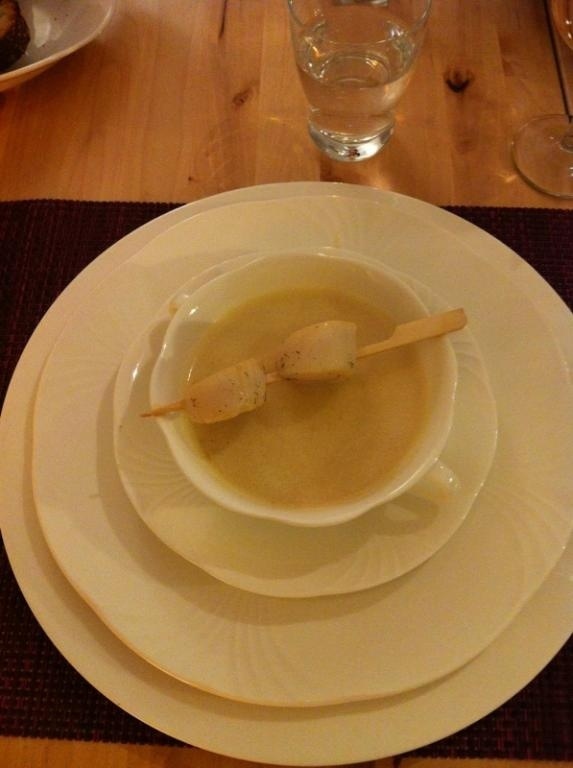 Starter: Apple & Mustard Soup with Scallops seared in Bulmers. 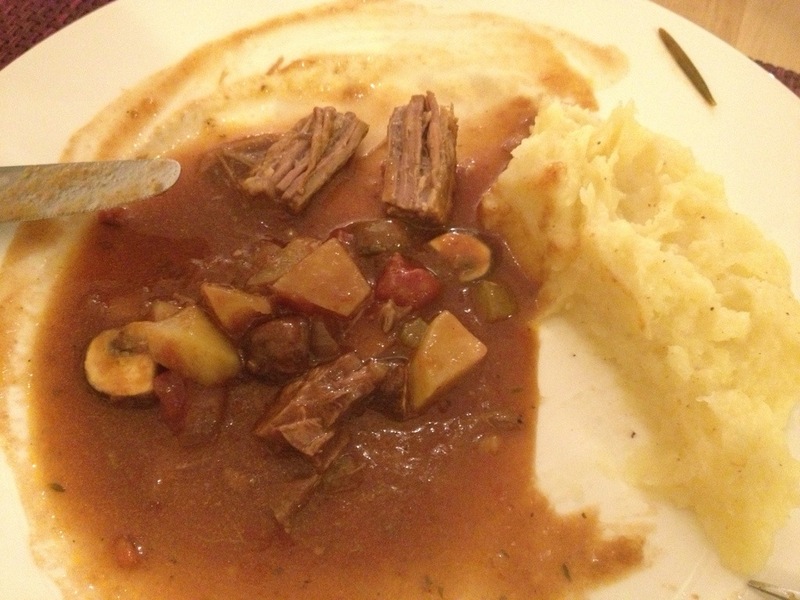 Main course: Beef and Winter Veg in Guinness with Mash. 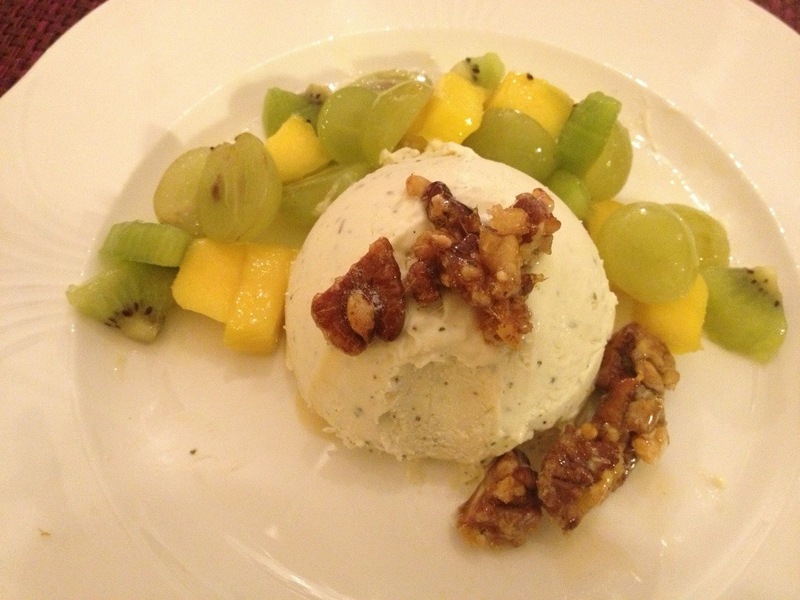 Dessert: Verbena Ice Cream with Fruit Salad and Caramelized Pecan Nuts. 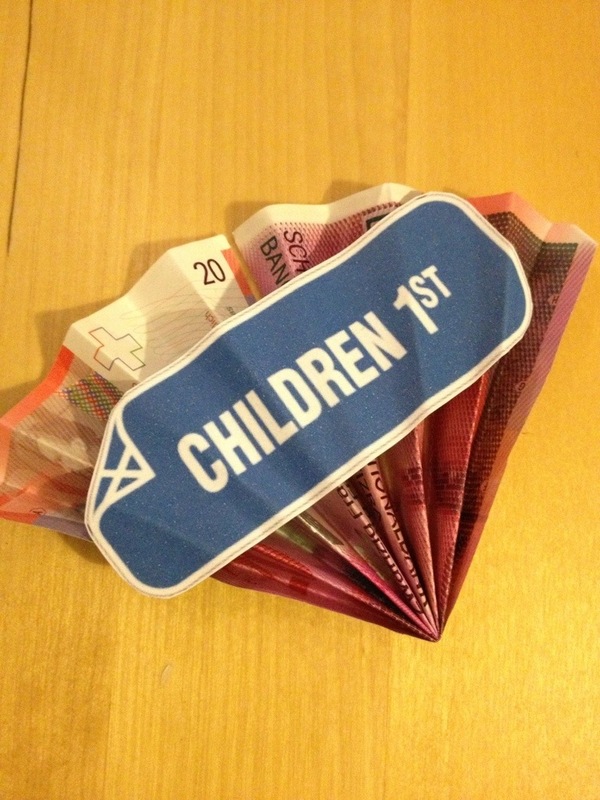 And money raised for charity run in April 2013. Yay!